Here’s a number of questions we’ve received about data recovery over the past week. The questions are about data retrieval from both phones and hard drives. The phone was dropped into a pool. The phone has been taken to a phone shop to see if they could fix it but they couldn’t. would just like to recover the data. Seagate (external USB) Expansion 2TB drive started making a clicking noise and not booting up. Works on occasion but only for a short period. i’ve deleted all my pictures from my desktop computer and deleted them from the recycling bin can you get them back? +I have 2x LaCie rugged thunderbolt with different issues. One was accidentally re-formatted from OS X Extended to ExFAT but has not been written to since so the data should still be there. The other was working fine, ejected and the mac shut down, then the next morning when the mac was turned on this drive failed to mount. It shows up in Disk Utility as an external drive but does not mount the volume (correct word?). Again this drive has had nothing written to since. Neither drive has been dropped or otherwise physically damaged. Please let me know what you might be able to do! I have a vintage model of Macbook Pro 2009, and the hard drive on it had recently failed, and can no longer start up. Is it possible to recover the data from the hard drive? And can I please get an estimate quotation for that ? A folder on my ssd drive has been wiped, the folder itself remains however the documents within it have vanished. The documents outside the folder also remain. +I haven’t lost the data (i hope), but i believe i need the PCB repaired/replaced on a WD Red hdd. I stupidly plugged in an incorrect voltage power pack into the caddy of my WD MyCloud NAS (with 2 x 4tb WD RED drives in it) and now it isn’t recognising one of the drives. I assume I’ve burnt out a diode and i was wondering if this is something you could confirm and how much this type of repair might cost…or what i might have done? If you have a similar problem that requires data recovery please contact us for details of our services. If there’s nothing wrong with your hard drive, then you can use either software or an online data recovery service to recover your data. The reasons hard disks fail are several, for example they can be knocked or get the incorrect power supplies connected to them, so when you save your files to your hard drive please remember the safety of your own files is not guaranteed. Occasionally it is necessary to mend a hard disk that has developed a fault to be able to retrieve the folders on it that is not saved elsewhere. At times like these you must hire a specialist data recovery business, that are skilled in recovering the data from crashed hard-drive. Many years ago there were not that many data recovery businesses in existence, these days there are many and sadly a lot of them are not really good. Do not make the mistake of thinking the capabilities of data recovery companies are exactly the same. Their capabilities vary greatly – just because they have a decent looking web site doesn’t mean they could repair your hard drive or restore the missing files on it. Your PC contains at least one hard disk drive. It’s the part of the computer system that stores all of the information, documents and photos you make. A hard drive is regularly full of treasured folders, so obviously, a hard drive fault is better avoided. Occasionally if there is no damage with the hard drive, software programs may be used to help you retrieve your missing folders yourself. There are generally trial versions which can be found on the web that may let you know what they can and can’t recover first. If you decide to restore the data the software find you’ll need to purchase the application licence which generally costs several pounds. A word of warning though, what may at first appear to be a straightforward hard drive problem could be something far more serious and trying to rescue the data yourself may cause many more troubles. So if in doubt, you always need to seek specialist assistance because there might be difficulties in part of your hard drive that stop it from functioning properly. Remember that because your hard disk breaks or the data it contains appear to have gone, this does not mean the files are gone forever. Experienced folder retrieval firms can find and rescue lost files on a damaged hard drive. In the complete process of restoring the data, the hard drive faults that led to the folders getting lost in the very first instance will likely be fixed. This is beneficial because it ensures that it isn’t going to occur again. External hard drives certainly aren’t new but they are extremely popular. Many households have more than one and companies can have hundreds. It’s the convenience and portability of external USB hard disk drives that makes them so popular. External hard drives can be single disk systems or multiple disk NAS devices, some running RAID. Most connect to either a computer using a USB connection or a router. This last option is very popular as it allows everyone who can connect to the router to share the data on the external hard drive. External hard drives also get knocked over or dropped, when this happens, and it happens quite a lot, they break and the data on them is lost. 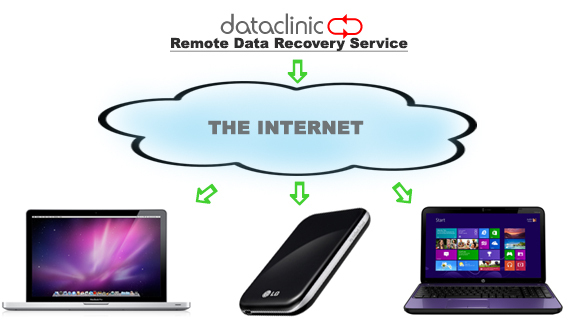 External hard disk recovery is possible but it takes a skilled company to do it. A dropped hard disk will often make a buzzing or a ticking sound (often described as the ‘click of death’ – Wikipedia link here). In both cases symptoms like these indicate that the hard drive has mechanical damage. I’d recommend anyone who has dropped a hard disk and broken to contact an external hard drive recovery company like Data Clinic Ltd (their external hard drive page is here) if they need to data off the disk. Once a hard disk has been dropped it can’t really be repaired to such an extent that it’ll work without problems again, frequently data from dropped hard drives is transferred across to another external USB hard disk drive that hasn’t been dropped and works perfectly ! Buffalo Technology has launched new storage options in the 2014 International Consumer Electronics Show, like the new MiniStation Air Wireless Mobile Hard Drive (HDW-PD1.0U3), LinkStation 200 Series, and also the LinkStation 420 Network Video Recorder (NVR). The fresh MiniStation Air Wireless Mobile Hard Drive supplies as much as 1TB of storage for computers, smartphones, tablets and much more. This new streamlined mobile storage option contains up to 10 hours of battery life and supports up to eight devices; this gives users the capacity to take their multimedia library with them while traveling in addition to streaming content wirelessly to any computer, smartphone, tablet PC, smart TV, or supported gaming console. The MiniStation Air supports up to eight wireless connections, features an USB 3.0 interface, and lets users create a Wi-Fi hotspot to talk about its recognized network and Internet connection with linked apparatuses. Free cellular apps for Android and iOS can also be accessible, offering a rich UI along with a premium user experience. Moreover, the MiniStation Air may be used to stream multimedia content to any DLNA playback apparatus, including smart TVs, media players, and gaming consoles. 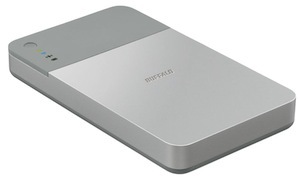 The Buffalo MiniStation Air 1TB Wireless Mobile Hard Drive will probably be available sometime in March 2014 for roughly $199.99 and is backed with a small three-year guarantee; this contains toll free U.S.-based technical support available 24/7. Helium Hard Drives – The Next Step in Hard Drive Technology ?? Helium Hard Drives: Are they the next big thing ?? Western Digital could topple as the king of enterprise disc shipments Seagate thanks to its helium drives, according to analysts IHS. The technology has been produced by WD’s subsidiary Hitachi GST. Read / write heads and spinning magnetic platters in hard-drives full of helium encounter less drag instead those in devices comprising clean air, and thus consume up to 23 per cent less energy according to Hitachi GST. Also, as much as seven platters could be set inside such a drive instead of the maximum of five seen today. A 4TB five-platter drive would turn into a 5.6TB drive utilizing the same 800GB/platter areal density technology. Therefore Hitachi GST can optimize helium drives for low power consumption and high capacity or a combination of the two – and give Seagate a right shoeing. IHS storage systems believe helium hard drives could propel Western Digital to the top business drive spot, dethroning Seagate along the way. assisted magnetic recording – reach the market. Their projections show the marketplace for helium drives will mount from virtually zero in 2012 to over one hundred million units in 2016, especially in case that the high prices of production are brought down. But will the prices come down? And also the IHS speculation assumes the seven-platter helium filled monsters still fit in conventional 3.5-inch drive bays. One answer would be to add flash to the enterprise drives and turn them into go faster hybrids. Hitachi GST could do the same, and we’d have helium gas-filled hybrids. As these technologies permutation are played out it’s going to be an interesting few years. A computer’s hard disk drive is the central data repository for the entire system. All sorts of important files are stored on a hard drive, from the operating system itself to important work and personal data such as photographs and financial information. However, as with any component of a PC, hard drives can fail for a number of different reasons. Few things are more distressing than trying to turn on your computer, only to discover that it will not boot up. In many cases, this is the result of a hard drive failure. A skilled technician may be able to provide the skills required, repair the damage and recover the data from the drive. However, his chances of success depend in a large part upon the cause of the failure. One common cause of hard disk failure is an electrical problem. If may be a surge of electricity to your computer and the circuits can become damaged, making it difficult or impossible to control the hard drive. Common symptoms of this type of failure include a drive that powers on but does nothing, or a drive that makes a clicking sound. In these cases, the data on the hard drive may still be intact, so retrieving it may not be terribly difficult. However, you may have to have certain parts of your PC replaced, or the technician may need to manually copy the files from the damaged drive onto a new one. These collisions can severely damage the hard drive and lead to the loss of data. Recovering data from a hard drive after a head crash can be very difficult, and requires the use of specialised equipment such as a clean room. If your hard drive is making grinding noises, or if it makes no noise at all, this may indicate a mechanical problem. Hard drives can also fail for non-physical reasons. In these cases, the drive itself is fine, but the data on the drive has become damaged or corrupted so that the computer can no longer access the files and folders. For example, if the information that tells the computer where each file is located becomes corrupted, you will be unable to open your files. Fortunately, fixing these logical failures is generally a simple procedure. The technician will simply have to replace the corrupted data with new copies of the proper information. Once this has been done, your system will once again be able to access to your files. Even if some of your files are damaged, a skilled technician may be able to retrieve the remaining lost data. Hard drives can crash and fail for many different reasons. Properly diagnosing the cause of the failure is the first step that a good hard drive recovery technician must take in order to solve the problem.